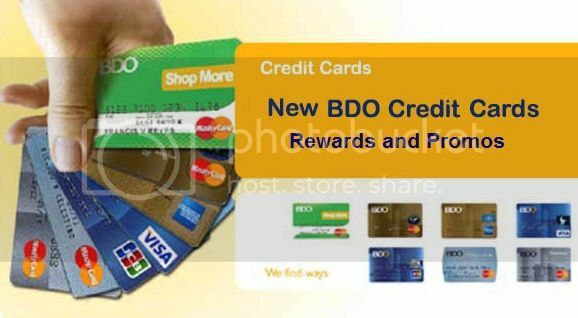 Amazing news to all BDO Credit Card holders! Here’s your chance to enjoy the BDO Credit Cards Promo with free shopping rewards and BDO online treats. BDO Credit Card promo allows you to just choose your brand items and shop with your BDO Credit Cards to purchase any item within the promo period. What you need to do? Just spend a minimum of P2,500 single charge slip anywhere and be rewarded with your BDO credit cards purchase on choices such as Auntie Anne’s, Bo’s Coffee, Brownies Unlimited and Kenny Rogers. Great choices at all great locations. Remember to always use your BDO credit card from Feb. 15 – April 15, 2014 to make payment for your choice purchase. Then you can redeem and avail your BDO treats from Feb. 15 – June 15, 2014. Another Great news for all BDO Credit Cardholders! Now you can enjoy free meals from Kenny Rogers Meals when you use your BDO Credit Card for your purchases, with minimum spend of P2,500 anywhere! You get free meals that includes Combo Meals with any 12 oz Pepsi Drink*, Quarter Roast Chicken, burrito or quesadilla. BDO Promo until April 15, 2014 only. So what are you waiting for? Here’s you chance to enjoy the best of both worlds! Spend more on shopping and purchase with your BDO credit cards and reap more promo rewards and free meals!